University Professor and past president of the Modern Language Association of America, Linda Hutcheon has just retired from the University of Toronto. 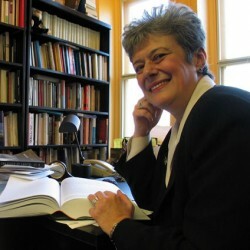 Professor Hutcheon is the most cited living Canadian scholar of literature, the only worthy successor to Northrop Frye. According to the citation index Publish or Perish, she has been cited 5,605 times in Google Books. Her h-index, a formula based on how many books a scholar has produced as well as on citations, is 17, the same h-index as Marshall McLuhan or Salman Rushdie.